The Fire Island National Seashore Artist in Residency Exhibition is now on view at the Patchogue – Watch Hill Ferry Station in Patchogue, NY. 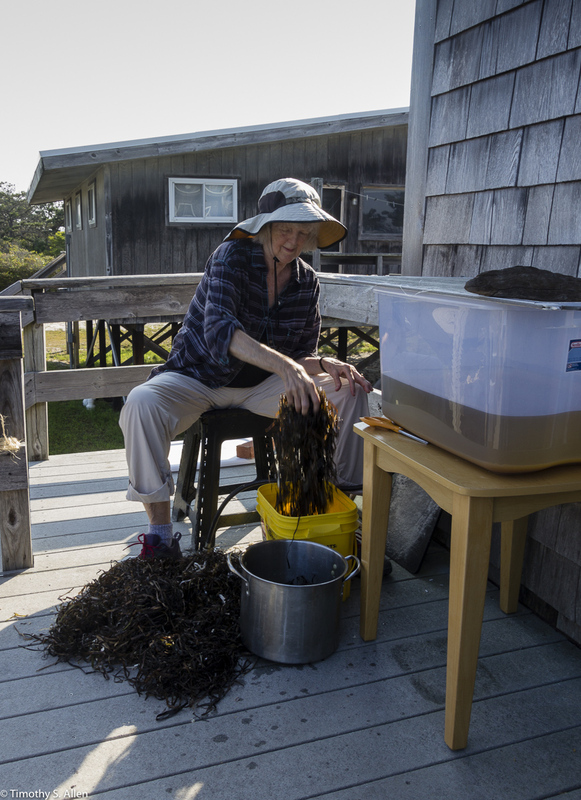 Jane Ingram Allen was one of the 5 artists selected for a two-week artist in residency at Fire Island National Seashore during 2015. The 2015 AIR Exhibition is open to the public on Saturdays and Sundays from June 26 to July 24, 2016. See the website at https://www.nps.gov/fiis/learn/news/find-your-park-through-art-at-fire-island-national-seashore.htm for all the details about this exhibition. Jane has two installations on view in this group exhibition at the Watch Hill Ferry Station gallery. “Piping Plovers” is a suspended installation featuring multiple bird forms joined in a net of natural string and seaweed. The piping plover is an endangered species on Fire Island, and the park service has been protecting nesting sites for this species. Jane’s “Fire Island Site Map” is a very long hanging conceptual map of Fire Island made with handmade paper created from Fire Island plant waste materials and dried on the sand dunes to get some handmade “sandpaper”. 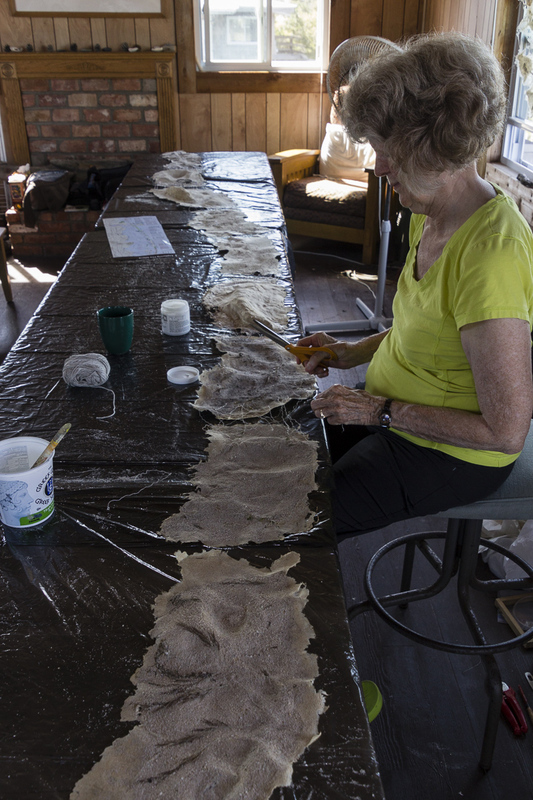 The pieces of paper are joined with natural thread and have bits of feathers, leaves and petals in the handmade paper map that is in the shape of the long barrier island. Other works in the AIR Exhibition include those by three other artists in residence during 2015 at Fire Island National Seashore. The exhibit features the works of mixed media artist Anna Golici, painter Amanda Kavanagh, and poet Anthony DiMatteo, as well as the two installations by Jane Ingram Allen. 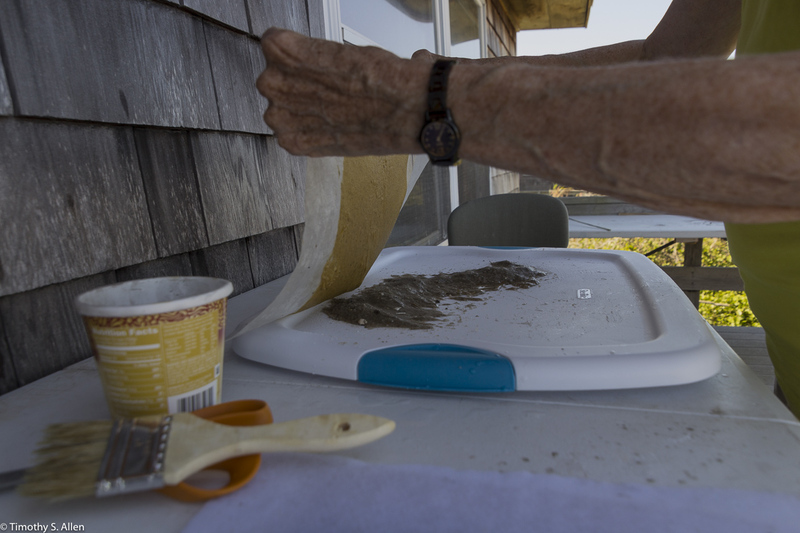 The artists’ unique interpretations reflect their uninterrupted two-week exploration of Fire Island National Seashore. The coordinator for the Fire Island National Seashore Artist in Residency Program, Dawn Lee, organized and curated this exhibition that will remain on view through July 24, 2016. 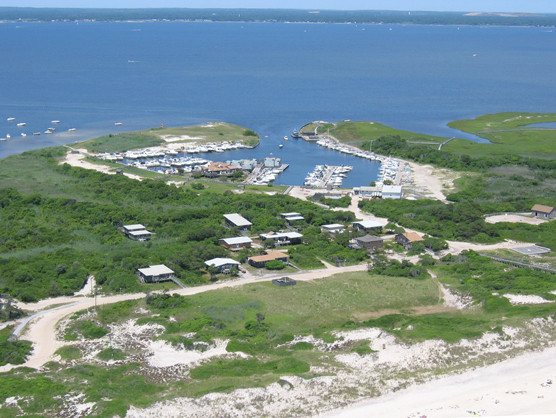 Patchogue, NY, is located on the south shore of Long Island, and just across the water from this small city via a short ferry ride is Fire Island National Seashore. To reach the Watch Hill Ferry Terminal in Patchogue, take the Long Island Railroad from Penn Station to Patchogue, and then walk a short block to the terminal. Fire Island National Seashore is a beautiful place to enjoy the beach, outdoor hiking and rustic camping so very close, yet far away from the bustle of NYC.